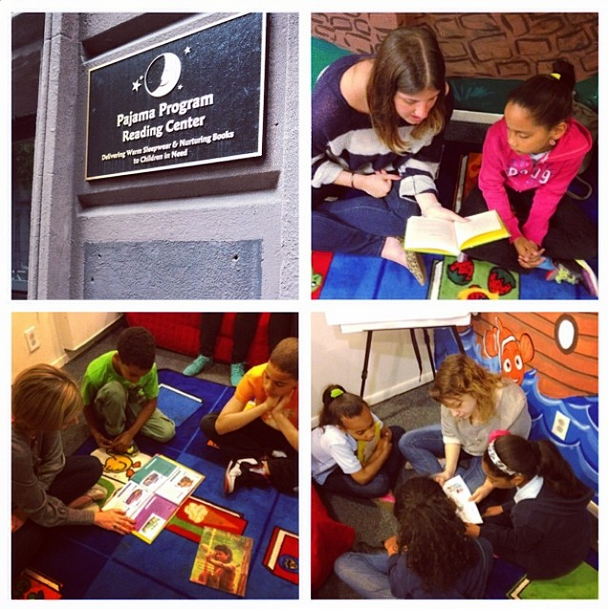 Every few months we like to take some time to volunteer with NYC’s Pajama Program. For a couple hours we head over to their reading center and read to kids visiting from schools or nearby shelters. At the end of the session, each child receives a pair of pajamas and gets to pick any book in the reading center to keep! It’s a fun way to give back and the look on some of the faces as they read Amelia Bedelia for the first time is priceless!